Everyone loves peonies flowering in early summer. 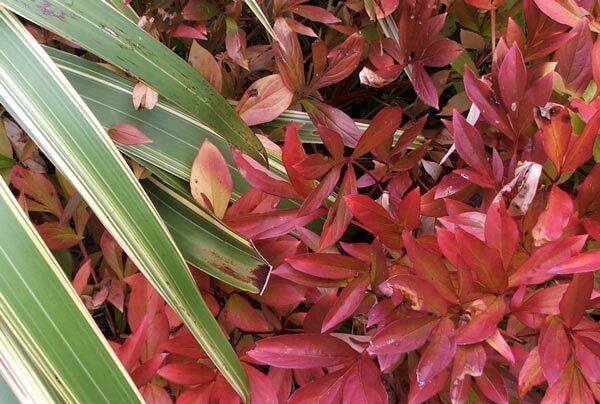 But peony foliage is beautiful too - both the fresh new spring growth and the rich colours of autumn. I am a novice peony grower, but gradually I'm acquiring more of these plants, and my few original purchases are bulking out. I love plants which make different contributions to the garden in different seasons. This peony lives next to a weeping flax (which I think is called Tricolor) in the Stables Garden. It came from my old friend Judith Anne's garden, and has beautiful, dramatic, rich pink flowers in summer. 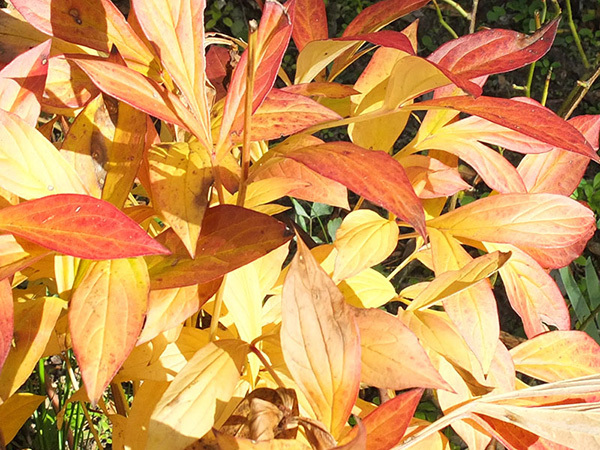 Then every autumn the pair put on a foliage show which is fleetingly enjoyed - as soon as the red colours appear I know I'll soon be trimming the peony back.